Information is power as we all have come to realize and knowledge plays an important role in enabling an individual and a society as a whole develop a mindset that most of his/her actions and judgment (decisions) are informed based on the knowledge which includes facts and experiences. 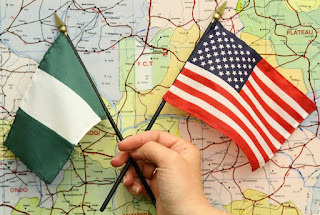 Looking at a country like America, where they have explored and used the power of information as well as information technology using the internet and the media as a power tool to spread information and brand the country in a way which portrays and makes them the world power. Using the internet which have being made available to at least more than half of their entire population, they have made sure people are kept up to date with news, events, incidents and developments as they occur around them. Making them more educated people about their society. America for example using this power tools sells the American Dream in many diverse ways with one goal; keeping the society properly informed and equipping them with adequate information to allow them make and take proper informed decisions and actions as well as have the knowledge about their country and the value she has. Looking at their movie industry for example: Hollywood, they have used it to brand their country and advertise and show people the American Dream and how Americans behave and what they engage in through fiction and non-fiction. They have made efforts in developing movies in categories which covers both their political, economic as well as social, cultural, technological and scientific areas. With Politics, it is evident that they have invested a lot in educating their society and the world at large with movies on great people and legends like George Washington, Martin Luther King Jr., Abraham Lincoln, Malcom X, John. F. Kennedy and a lot more others, as well as many others on civil rights movies which illustrates the struggle for a better country, economy and united American society. This in the long run has kept not only the American community but the world at large informed with information on how the country was built and how they country intends to keep building up. Also series which have be made illustrates vividly the American stands on their fight towards terrorism, although some are just movies but they portray the intelligence and ability of the Americans to handle situations in such areas and this has given individuals an image of what Americans stands for in so many way. In essence the country is branding herself and advertising herself because you can only know about a product well enough when it is advertised describing what it stands for, where it originates from and its intended use . This has led to widespread information on how the country was built, how it is still being built and how they intend to keep building it. With an economy so strong and an image which has earned them the status of “World power”. To me, this was also achieved majorly by incorporating spreading the word (information) and ensuring people are well informed and knowledgeable about who they are, what they stand for and who they intend to be in the future which has created a society governed by certain standards, ethics, values and principles. Coming back to my motherland Nigeria, with the tittle as the Giant of Africa and with an economy that once upon a time was in competition with the American Dollar has all the potential to become one amongst the world Power. Imagine the country has provided the richest man in Africa as well as the world richest black man. From its natural resources, to population and land mass which are richly blessed. The question becomes; what is wrong? Many may say corruption and I will say it is just one amongst many things that are wrong. The question becomes; what does the brand Nigeria stand for. Aside from the Natural resources and how the government is being handled. How about the information that we export out and how informed is our society about the country we live in as well as what standards is the society being governed by. Not to forget a friend once defined the government to me as; a body made up of both the Governor and the Governed, this means that not just the leaders have a role to play in making the country a better place but also the masses also. No disrespect to the Nigeria Movie industry, is still growing at a high and positive rate, but what exactly are they doing in branding the name Nigeria. Because I see them as one of the top most ambassadors for the brand Nigeria. From what I have come across in some movies that have gone viral, most are filled up with activities of black magic, how a family is in confusion because of a fight over money, land, inheritance and jealousy amongst themselves, too much comedy. Just few illustrate and convey powerful messages that change society…Where is the innovation and creative information delivery? Although we have some, there are not adequate enough to push the overall mentality towards seeking positive information and knowledge. How then do the upcoming youths and generation get informed of the development and foundation of the country in which they are born in and live? I ask another question; how many movies have the industry done from different angles about the founding fathers of our blessed nations or any on civil rights or the fight for independence with an aim of keeping the society and the upcoming generation informed of how our beloved country was built as well as the potential it has and the role we as citizens also have. A handful I believe. This is basic foundation information that people have to be acquainted to. It has become a thing of concern to me as the upcoming generation have a very different and not too positive view of the brand Nigeria and how they are supposed to run the affairs of the country if given the opportunity one day. - A mockery of another highly placed individual for the person’s language and accent as well as words. That is the kind of information that gets massive attention amongst the society. Then how does the upcoming generation and the society build good morals, ethics and attitude where they see insults and making fun of other individuals as a casual thing. Furthermore I think more is to be done in branding the country as well as the name Nigeria. Just as Martin Luther King Jr. said I have a dream, and it came TRUE but this time is, we all should have the dream that one day our beloved country will be a highly informed society with more positive information being spread across and our status as the GIANT of AFRICA will be solidified. Long Live the People of Nigeria and God Bless Nigeria. If only the right information is served then knowledge will come to exist..let's build everyday through spreading good information..